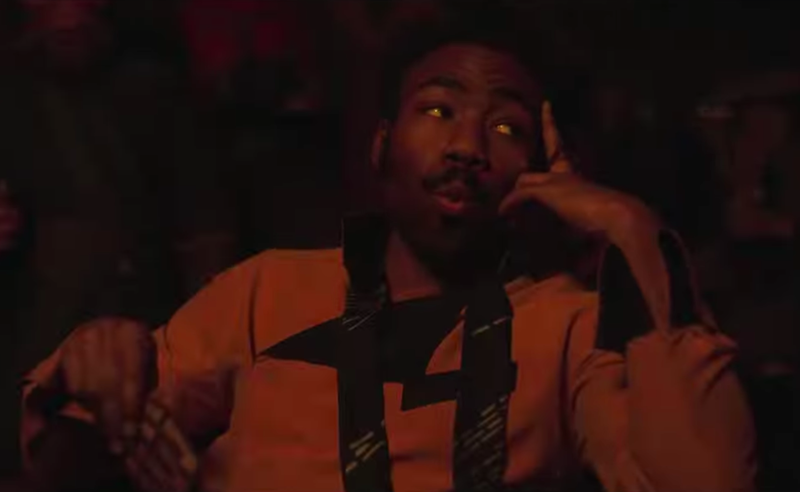 The first Solo TV spot landed today, proving that the film's marketing is not slowing down after blasting off last week. 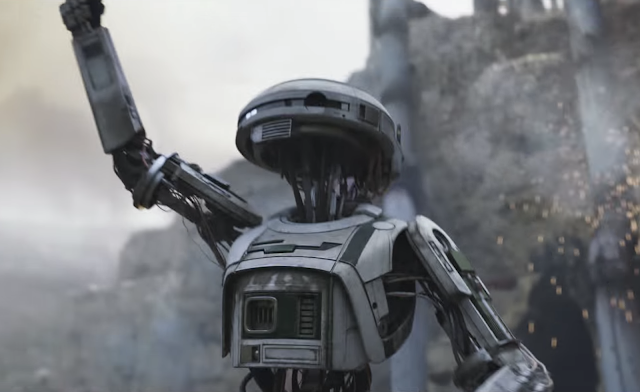 Soundtracked by AWOLNATION's "Run" – making it the first time Star Wars has used contemporary music in its marketing – the 45-second ad highlights the relationship between Han Solo and Chewbacca. After some new footage of Han and Chewie firing at range troopers atop the Conveyex train, we get to see a critical early moment in their friendship. "So what's your name, anyway?" Han asks (implying they've already spent some time together), and Chewie predictably growls in response. Since Han seems to already know Shyriiwook, the Wookiee language, we can assume he'll somehow be able to translate this to "Chewbacca." A little later, we get another funny exchange between them in the Falcon's cockpit. "You think everything sounds like a bad idea," Han says, and Chewie seems to growl in agreement. 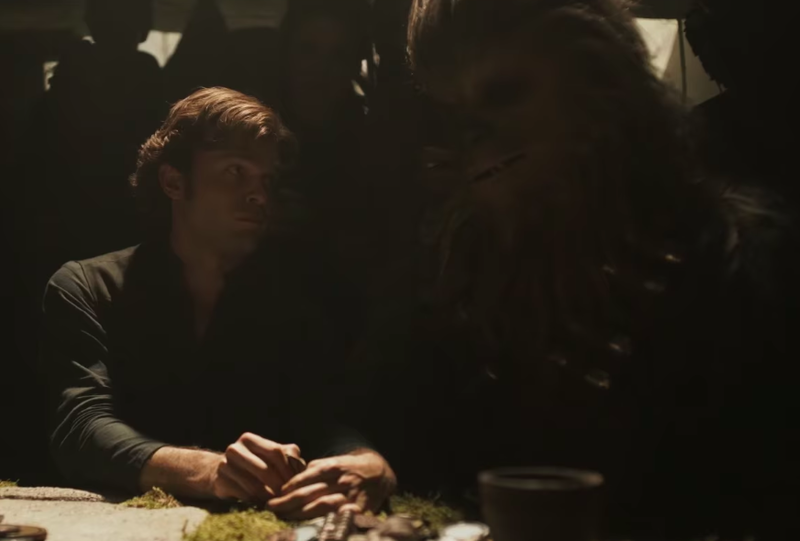 And the TV spot ends with an absolutely golden Han/Chewie interaction right before the title card: during the game of Sabacc with Lando, Han shows Chewie his cards, and the Wookiee makes a disappointed groan. 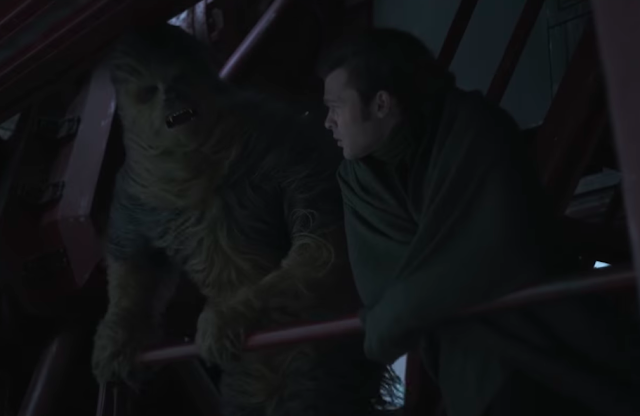 Regardless of whether Han himself is worthy of a movie, it's hard to argue with the idea of 135 minutes dedicated to one of the very best friendships in all of Star Wars. If the rest of the marketing wants to stress that for the next month and 10 days, they should go right ahead. A very tall ship flying over those snowy mountains. 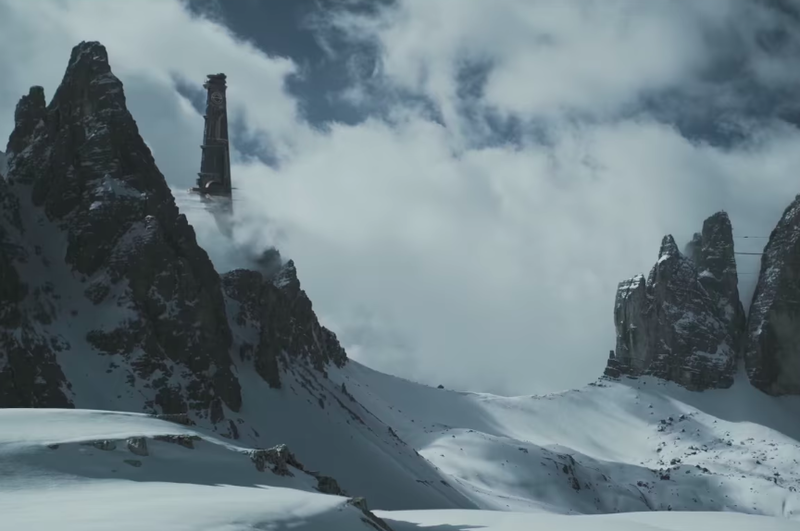 We've previously seen Han, Qi'ra, and Chewie walking towards an identical structure, but on a sandy beach. 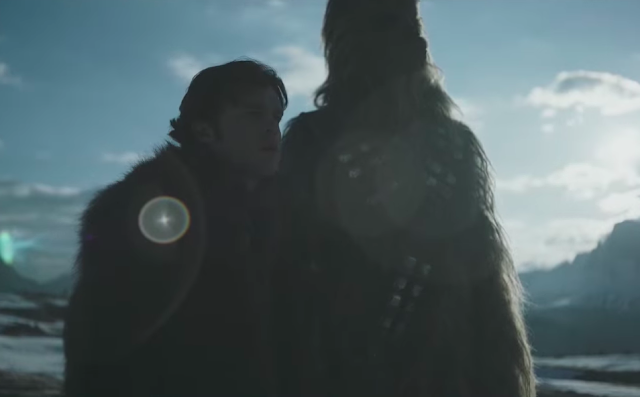 Another Han and Chewie shot in the same terrain, with bonus lens flare! The influence of JJ Abrams knows no bounds. 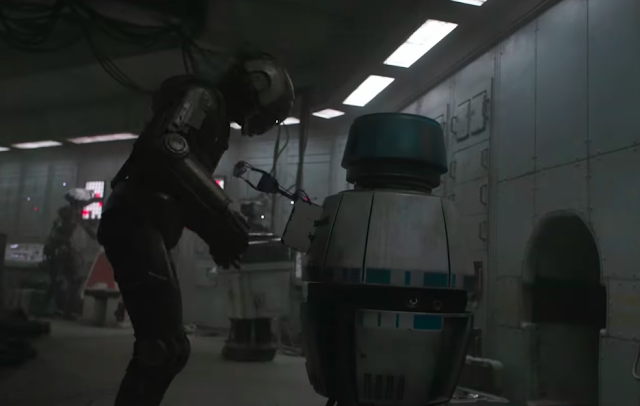 A cute interaction between two droids. But neither of them are L3-37, so we don't care. 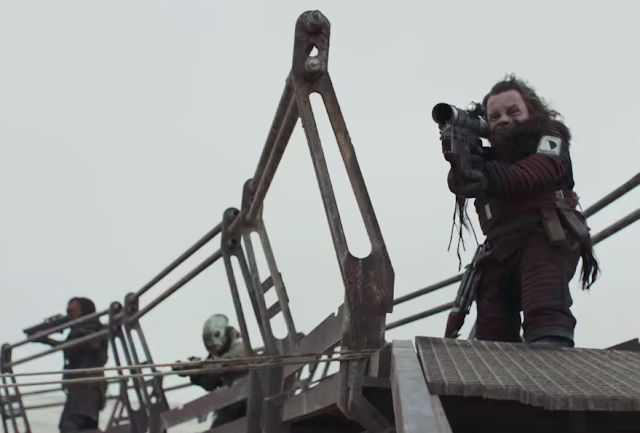 This short little dude firing a missile. A couple new shots of the Sabacc game, including Lando making this face! What did you think of this TV spot? What do you hope to learn about Han and Chewie's legendary friendship? Tell me in the comments or tweet to @sithobserver, and may the Force be with you all.